Day #1 of Our Christmas Giveaway Countdown Begins Now! #1 Holiday shopping will not be completed until Christmas Eve. That’s just because there’s nothing I enjoy more than scrambling for that last minute, must-have item on kiddo’s list. So, it wasn’t much of a surprise that one of the many bugs going around this month finally landed in our home. Luckily for us it wasn’t as bad as it could of been but it did push my shopping that much further out . I can just forget about getting my shopping done by my Christmas Eve deadline. Yup, some family and friends may not see presents until the New Year. You’re welcome. 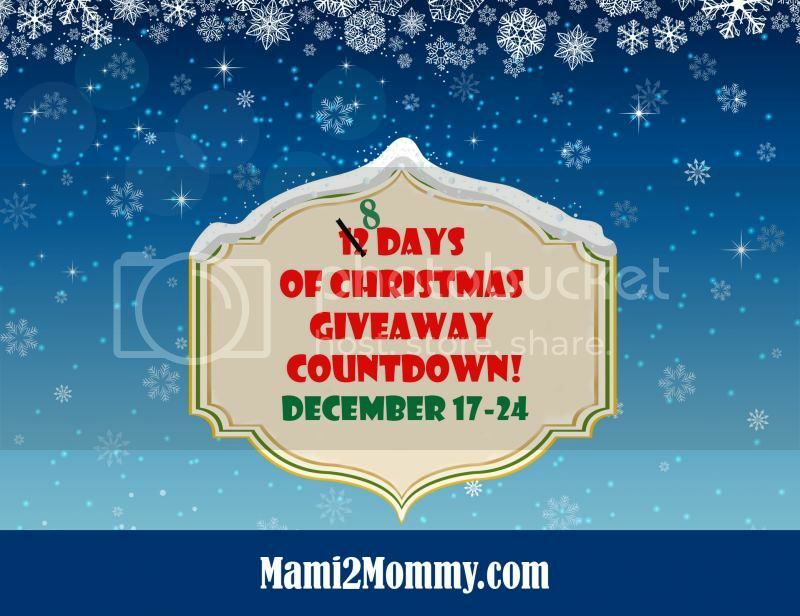 Now because of our family being sick, we at Mami 2 Mommy are going to take what would have been our 12 Awesome Days of Christmas Giveaways and share them with you in 8 GLORIOUS DAYS instead! Are you ready for our 12 8 Days of Christmas Giveaway Countdown?!?! Take a look below to find out what we are pulling out of our Santa bag for Day #1! One of family’s favorite shows on TV and off is Yo Gabba Gabba. We have seen them live in concert almost every year of our son, Shaunsito’s, life and may just have every single song memorized by this point! 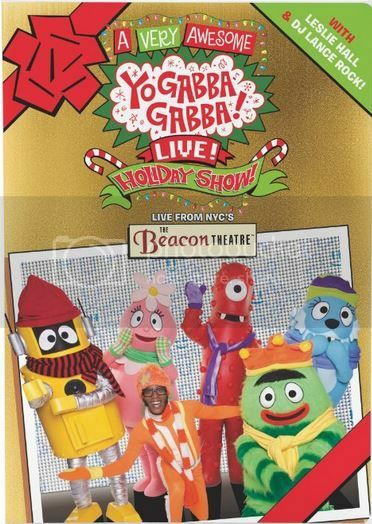 This year NCircle Entertainment brings us closer to the fun with A Very Awesome Yo Gabba Gabba Live! Holiday Show! DVD – a must for your little one this year. If you and your kiddos haven’t watched it yet now is the time! This is tons of fun for the entire family and will get you all up dancing & singing along in no time! Enter the Giveaway through Rafflecopter below for today’s AWESOME prize! Lots of chances to win and winner will be announced tomorrow at 10am EST. HoneyBaked Ham & “Hop” Bring Easter Fun to Alpharetta, GA! My dad is the hardest person to shop for this year!